It has been a beautifully fantastic summer in the UK, and the autumn is proving to be just as magnificent. Huge blue skies, bright sunshine and cheerful birdsong have all set the scene for idyllic outdoor happiness. It’s been the sort of weather that most drivers must relish. During an afternoon walk, the twins and I counted five or six convertible cars cruising around our neighbourhood. Middle-aged men in driving gloves. Young tribes of mates pumping out music and laughter. Dogs enjoying the wind in their fur, ears and tongues flapping in the breeze. Of course, we were observing this all from the safety of the footpath. My recent efforts to overcome my fear of driving have come to a standstill for a number of reasons (in some cases, excuses) and so the twins and I had found ourselves demoted to the rank of pedestrians once again. However, despite a few set-backs, there has been some real progress. Each of my chosen destinations had one thing in common: utterly hassle-free parking. Despite being the furthest away, the flower farm was the most appealing option because the car park was a large open field with no bays to contend with, just the odd cow-pat. After an anticlimactic failure to start my pathetic car last month, a breakdown engineer was called to bring it back to life. He was adorned in heavily stained bright yellow overalls, reflecting his jolly yet edgy demeanour, and adopted a slight penchant for sexism. ‘You aware you got moss growing?’ he told me after a pointless examination of the car’s bodywork, given the problem was a flat battery. At first I thought he was referring to the very dead tree under which the car had been parked for so long, but I soon noticed the spread of green spores framing the car’s windows. I felt a pang of sympathy for the neglected vehicle, followed by a sting of embarrassment. I offered to make the mechanic a cup of tea, my ‘go-to’ solution in moments of unease, and left him to his work and whistling. Whilst items 1 to 3 have yet to be addressed in any real sense, item 4 has finally been put into action. Each of my chosen destinations had one thing in common: utterly hassle-free parking. Despite being the furthest away, the flower farm was the most appealing option because the car park was an open field with no bays to contend with, just the odd cow-pat. As well as my apparent aversion to any type of parking (I need to work on that), another unfortunate fact soon came to light. The car is horrible to drive. It is loud and revvy. The gear-stick is stiff and scrunchy. I can’t find a comfortable driving position however much I adjust the seat. The few skills that I had felt reasonably comfortable with (clutch control, turn in the road, hill starts) now all feel tricky and troublesome. None of this is conducive to keeping my stress levels in check behind the wheel. 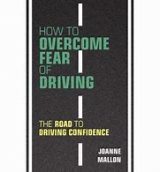 I long for the quieter, smoother ride of my driving instructor’s car in which I launched myself up and down the motorway back in the spring – a brief (if a little turbulent) romance that gave me a taste of life in a pretty new car. My current feelings about my own car are like those you might experience in a new relationship when you suddenly suspect that you may be totally wrong for each other. Faced with the decision about whether to call it quits or to persevere (just in case some of the annoying little things become more bearable over time), you tolerate each outing together in a state of low-level confusion and slight resentment. And so, I find myself less and less inclined to take this dumpy little car out for a drive. My husband drives it more than me now, despite agreeing with me about the controls but clearly giving less of a toss about that sort of thing. Perhaps it’s time to clean off the moss and give the car a good wash and polish. A bit of grooming and pampering may help me learn to like the scrappy old thing and strengthen our bond. I suspect driving through a car-wash would feel like a ride in the house of horrors, so I’m off to buy a new bucket and some extra j-cloths.